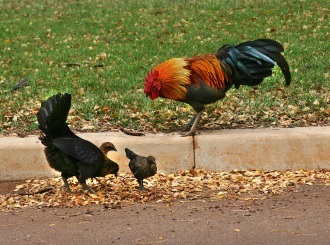 An Amerikiwi family living the American dream...in Hawaii. This gecko has been my Facebook profile picture off and on for the last 8 or 10 years. I took it somewhere on the Big Island of Hawaii in 2004 (during breakfast). 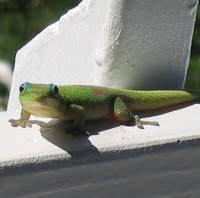 These geckos kept coming over to the table, but didn’t eat anything I tried to feed them...which is surprising: my children call all green geckos “popsicle” because more than one fortunate lizard has followed them around waiting to lick up some delicious meltings. I’ve always wanted to return to this restaurant, but wondered if I’d be able to find it (and if it still exists). My quick browse through the album turned up a photo of Nicole with a cup of coffee and what I’m guessing are coffee trees. 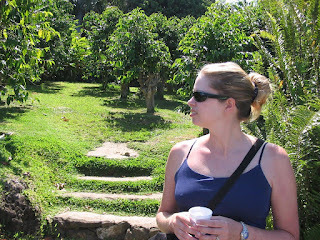 And for some reason, I never forget a coffee farm or a winery. 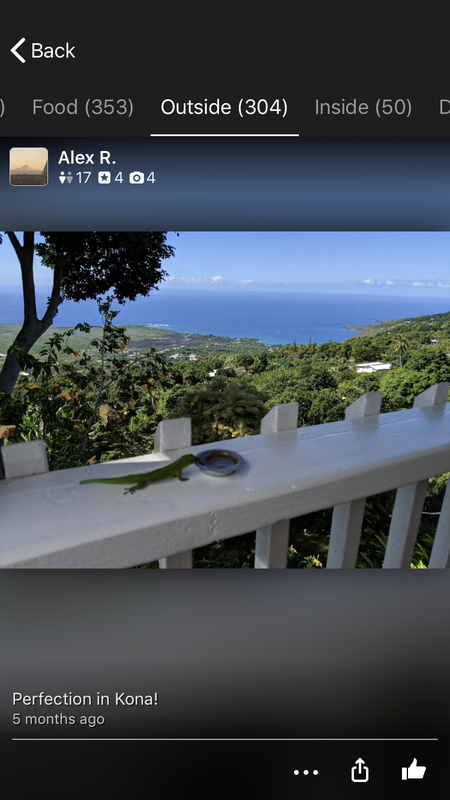 From there, I searched for restaurants near the Greenwell Coffee Farm and discovered I’m not the only one taking pictures of geckos at breakfast. And it’s only 70 miles away. It is with mild sadness that I tender my resignation, effective immediately. Although I have enjoyed working here at Maui Memorial, the schedule is no longer fitting my life. I have been considering becoming a night shift pharmacist for some time, but because so many people in Hawaii enjoy having their days off to go surfing, it has been difficult finding such a position without relocating. As the family and I don’t wish to move to the Mainland, I started thinking of other career options. And the closest thing I could come up with was graveyard pharmacist. That’s right, due to a recent uptick in the number of teenagers who are abusing embalming fluid (and drugs used in the embalming process), there is suddenly a huge demand for graveyard pharmacists. Our current plan calls for a few months of stocking up on formaldehyde and phencyclidine with a goal of opening Lasko’s House of the Dead Pharmacy at the end of October. I hope none of you will need my services this year. My children pretty much always want to go to the beach. Or sometimes they don't want to go to the beach, but they want to go to a swimming pool. And you would think that with all this beach time, they would be exquisite swimmers. Unfortunately, their favourite thing to do at the beach is dig bathtubs just above the water line. And they're both pretty timid in (and near) the water. So I sat with pride from the comfort of my Tommy Bahama beach chair under my Tommy Bahama Umbrella as they slowly ventured deeper and deeper into the water. Until finally, Zooey was just about swept away by a wave. It was a much longer run to the water than I would have guessed while filming through a zoom lens. I know I always start posts off about how or why I'm not posting very often. Mostly it's the monotony of living on an Island where there are only like 5 things to do. How frequently does anyone want to read about a trip to the beach? But it being whale season and all, I thought the occasion might be blog worthy. Filming whales from a stand up paddle board is more than a little difficult. I should probably purchases a Go Pro, which I could mount on my head or the board, or something, but all I've got is an aging waterproof Sony. Now, whales are quite a bit bigger when viewed from a stand up paddle board, a fact I never seem to remember until I get too close to a whale and suddenly start worrying about being eaten or accidentally crushed. And that's when I dropped the camera and decided I'd be safer on the other side of mi amigo Joe. Here are a couple more videos. One has a fluke and the other shows that Joe knows how to stand up on a paddle board, as apparently there is some concern that people in Wisconsin or Minnesota might think he can't...though I doubt anyone in Wisconsin or Minnesota is reading my blog. 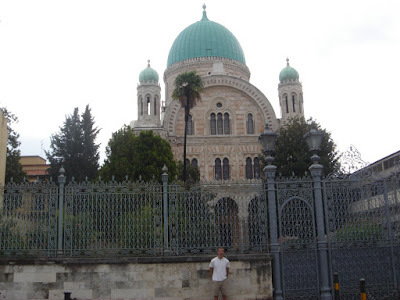 I'm sure I visited synagogues in Israel with security, but there are military, police, and guards everywhere in the country, so I probably didn't notice anything at an individual building. In Europe, however, it was a very different story. In Florence, there were armed guards (both inside and outside the bars), lockers, and a metal detector. I can't remember if there were x-rays...probably they just made us put everything in a locker before entering. All of this on a Tuesday morning. 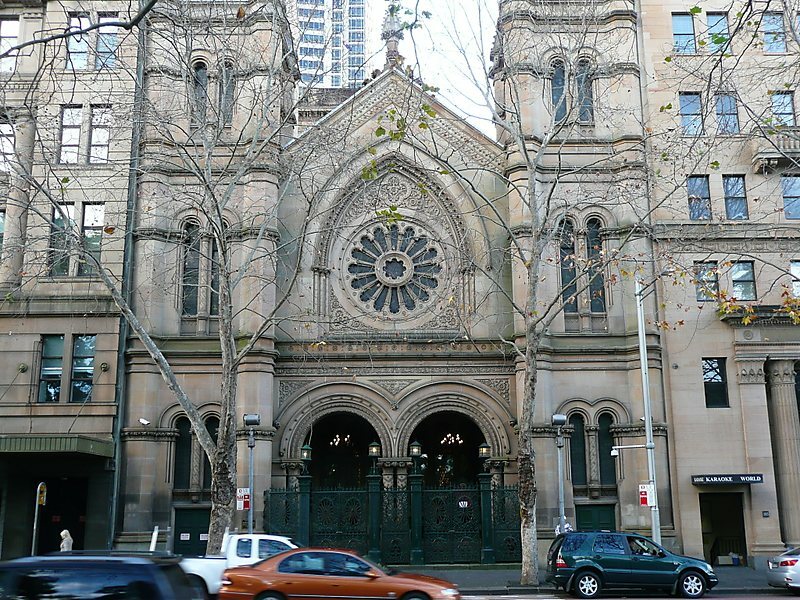 I had to steal this photo of the Great Synagogue of Sydney as we were there on a Friday night and I either didn't have bring a camera or I figured photographing an orthodox synagogue on a Friday night was bad form. Notice the bars. 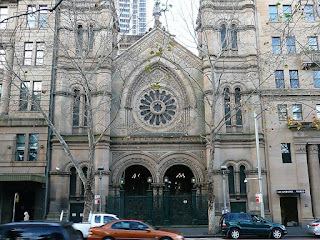 (Note that the much larger St. Mary's Cathedral on the other side of Hyde Park does not feel the need to erect a fence.) I remember seeing some flyers for a pro-Palestinian protest taped to lamp posts on the street in front. And I remember the security. There were two personnel; one was a twenty something girl...if either were armed, they were concealing. Still, this was the most difficult synagogue entry I've ever had to make...and we were travelling with a six month old Jancie. Here's an excerpt from someone else's visit to a synagogue in London, but the dialogue is pretty much the same. 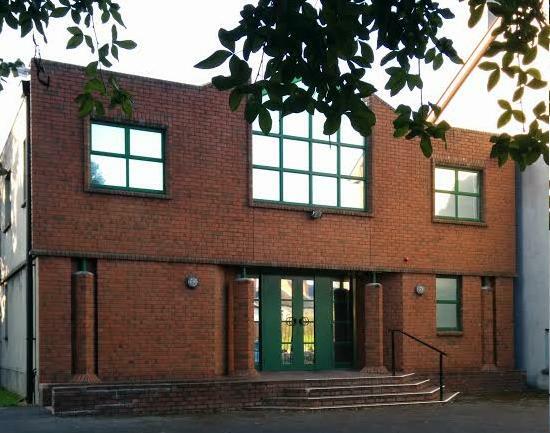 Although it is by far the most recent foreign synagogue visit, my memory of the entrance is the least clear of these 3. It was Ireland, so there may have been some drinking either before or after. Unlike either Great Synagogue above, this one is somewhat hidden and in a residential area. I believe it is fenced, but this was open when we arrived for services. There may have been a member greeting people at the door. Unfortunately, we did not make it to a Belfast synagogue. The last time I tried blogging from my phone, there was an official google app. It didn’t work very well, but at least it existed. No more. Prior to the existence of smart phones, I vaguely remember sending posts via email that then magically appeared on my blog. Since I don’t want to go back to those dark ages, I’m giving the desktop version a try on my phone. My phone is very small. Back to business: Here’s a short 24 minute video of our drive to (and from) Hana, if you’re bored. As you can see, it rained. A lot. I always expect rain when going to Hana, but it was excessive this time. When we eventually arrived at Wai’anapanapa State Park, we were rewarded with some not raining time to set up the tent and this ocean view (from the tent). 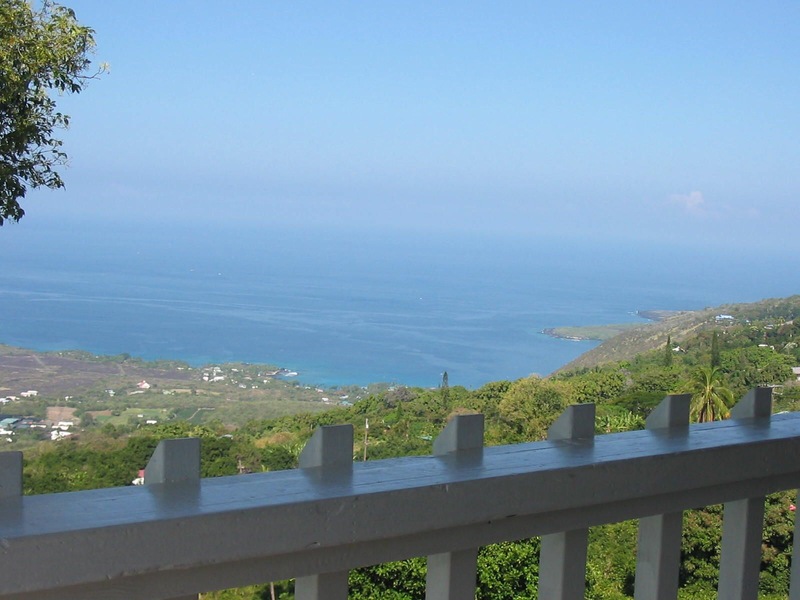 It’s just about the best $13 you can spend on Maui ($19 for you Mainlanders). A brief stroll from our campsite brought us to this little blowhole. This is what the Lasko girls look like when they’re listening to me and not trying to get as close to the hole as possible without falling to a watery death. After a night of torrential rain, wel hiked a good half of the Pipiwai Trail; here’s the family taking a Cheeto break. I’m ending this post here. Using desktop blogger on an iPhone is exceptionally difficult. Apologies if the photo alignment is off. While I have the Pentax hooked up (yes, I have an obsolete camera that neither shoots video nor knows how to upload anything on wifi), I should post some birthday photos. Here are a few that came out reasonably well (at least to my untrained eye). Or if they came out badly, they captured the event well. Digging through the Pentax, I remember I bought a tripod to try to photograph waterfalls. During numerous attempts (read: angry Nico staring at me and wondering when I'll be done), I realized I really need some better filters to shoot waterfalls. 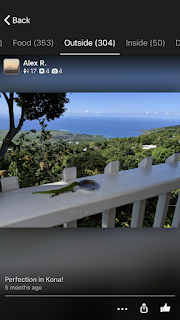 The date on the pictures tells me that those were from a July trip to Hana when we were fortunate enough to stay at the Travaasa. Because we're not made of money, we recently went for a more budget experience at Wai'anapanapa State Park. It's pretty much the best $13 you can spend on Maui. One nice thing about camping right above Black Sand Beach is you are most likely going to be the first person on Black Sand Beach. One not so nice thing is that there is nobody there to rescue you in the often rough waters of Black Sand Beach. Jet lag is always a good reason to post, especially when there are non-Hawaii vacation photos. The cab driver taking us to Kelly's Cellars recommended Castle #1. He was Irish, so he was a little hard to understand, but the gist of it was something like: 'Everyone goes to the Giants Causeway. It's just a bunch of rocks. And the rope bridge? The guidebooks all show it swinging in the wind and they tell you it's 100 feet high. They replaced the bridge years ago. It doesn't swing and it's only like 20 feet high.' It sounded much better with an Irish accent...and he may have been pulling our legs about the bridge, though it is difficult for me to judge these things since I am afraid of heights. My memory card indicates that we visited Castle #2 while passing through Limerick during our never ending Irish road trip (a stop which also included a snack at the Limerick Milk Market). I don't remember much about Limerick Castle accept that 1) Castles have a lot of stairs and 2) Better preserved castles get to charge admission. A look back at an old post shows that my photos of the world's second germiest attraction have disappeared into the ethers. Someday, when I am extra bored, I'll go about replacing all those dead links. (The picture would have shown me stepping in Seattle's Gum Wall, which I understand has since been scraped away. It was a pretty gross tourist attraction, but note: it was only the bottom of my shoe that touched it.) FYI: they don't clean the Blarney Stone very often...as in, like twice since 1990. As we entered Blarney Castle, an unfortunate man fell from an un-survivable height (reported to not have been from the area housing the Stone). We elected to continue inward to shield the girls from the commotion. The castle was shut down for several hours afterwards. Castle #4 was home for two nights. Actually, the Waterford Castle Lodges were home for two nights. I suppose that's not nearly as impressive as staying in the castle, except that the lodges are 3 bedrooms (with a beautiful fireplace downstairs), while the castle rooms could not accommodate the four of us. I should probably start a new post for Scottish Castles, but I don't think there are very many more, and I am now about as sick of writing about castles as I was about visiting them. It was raining at Edinburgh Castle, so all my photos are on the Sony...which I hope Nicole has somewhere, because I am unable to locate it. [Although the Pentax is supposed to be water resistant, once the lens gets wet, it doesn't take very good pictures until I clean it.] In Scotland, they upsell you when you try to pay for admission: "Are you going to visit any more castles? Because for $19 more you can get into so many more castles..." Or something like that. Scottish people are even more difficult to understand that Irish people. That extra money goes towards extra preservation. Stirling Castle was complete with recreated furniture. Or maybe not complete, but the castle comes at least partly furnished. Urquhart Castle promised to offer a better vantage point of Loch Ness. Apparently, even if your castle is in ruins, you can charge admission if there's a sea monster living in the backyard. 2) Somebody is catching the females and keeping them for egg laying purposes. Certainly a possibility, but there are so many free roaming chickens and I know so few people that keep them that I doubt there would be much effect. 3) Hens are being killed at a higher rate in traffic accidents. Every morning I have to slow down or stop to avoid chickens. Almost always, this is the result of a slow moving hen. Roosters will increase their speed or change direction when they see me coming, but hens nearly always continue on their original course. I do not think roosters are smarter than their female counterparts, I believe it is more likely that hens are just more stubborn.